Arsenal continue their impressive unbeaten run in all competitions which now stretches to 19 games after a dramatic 4-2 victory over north London rivals Tottenham at the Emirates last Sunday. Arsenal’s next game is a trip to Old Trafford to face Jose Mourinho’s under-performing Manchester United side on Wednesday night, and these two clubs always provide an entertaining showing. The Gunners currently sit in fourth position in the Premier League table with 30 points from 14 games, while United lie in eighth and eight points adrift of Unai Emery’s men with 22. However, despite United’s poor form and performances this season (W6 D4 D4), this will be viewed by many as another stern test for Emery’s side to overcome. It’s a huge game for both sides as they both look to secure a top four finish this season, and a game where Arsenal will have to be at their finest to gain a positive result. 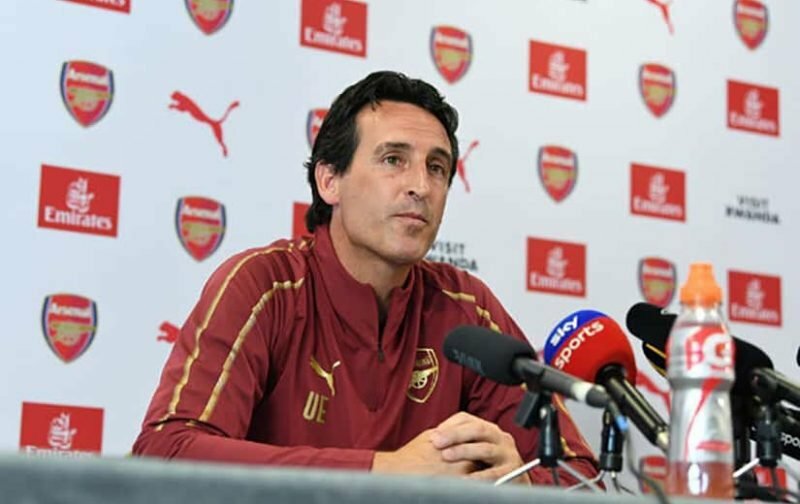 Emery has no new injury concerns ahead of the clash at Old Trafford and morale is high at present, so there is no reason why they can’t continue their run beyond Wednesday night. Despite an error for Eric Dier’s goal on Sunday, Bernd Leno has been fairly consistent between the sticks this season, and I expect him to continue keeping Cech out of the starting line-up. Laurent Koscielny is still a few weeks away from fully recovering from his injury, so the back three that played on Sunday should keep their places, while Hector Bellerin and Sead Kolasinac occupy the wing-back positions. I was very impressed with both Bellerin and Kolasinac against Spurs as they showed their desire to win the ball back and get forward as well. Hopefully they do the same tomorrow night. Lucas Torreira is a certainty to start and I think Granit Xhaka should play alongside him in midfield. Henrikh Mkhitaryan has been poor for me this season, and I think he should be dropped as a result. Likewise, Alex Iwobi. In for them should be Alexandre Lacazette and Aaron Ramsey, who both played pivotal roles against Spurs. Pierre-Emerick Aubameyang has bagged 10 goals in 14 Premier League games so far this season so he must start and hopefully add to his tally.